Activism: Following Principle, Part one of two in a series. While getting involved in a cause is a way for a person to engage in making the world a better place it can also be a real challenge. You’ll have to drop your expectations down to a more realistic level. Then you’ll need to learn how to listen & observe, because using those skills will make a difference. 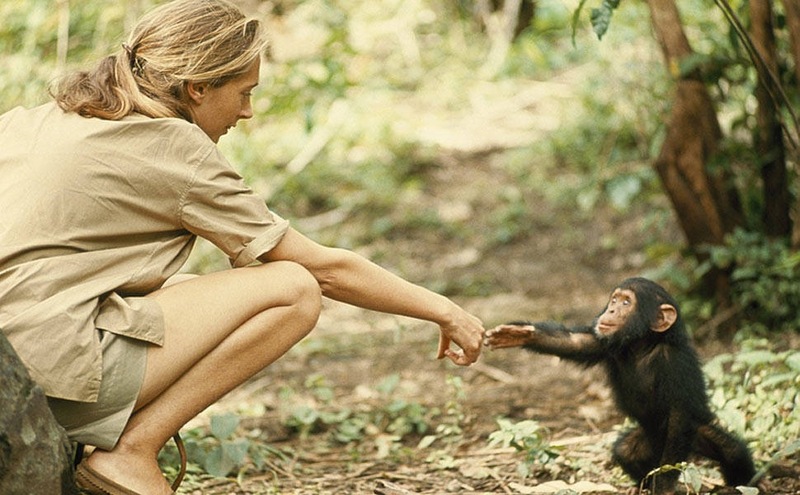 Take a few lessons on how Dr. Jane Goodall has made a difference by applying those two skills in her activism. I’ve been involved in wolf recovery and in one way or another for almost twenty-five years now. Two years ago I founded the wolf advocacy organization Wolves of Douglas County Wisconsin and began the work to remove dogs from the wolf hunt. Wisconsin is the only state that allows the use of dogs to hunt wolves and that is not managing wolves in my estimation. It’s more of a recipe for disaster causing more conflicts between wolves and dogs. Thus, two years ago I started out learning what it means to be an activist for a cause. What is an activist? The definition of activist is According to the Urban Dictionary: “an individual who expresses their ideas by getting involved and taking action…whether it be pro or anti (insert noun here). being activly involved in community and society no matter what your beliefs.” http://www.urbandictionary.com/define.php?term=activist Best way to begin is to follow your ideals and be true to those ideals. After all, you want the world to be a better place. How to become an activist? You’ll need to join up with other people who believe the same way that you do. This is where it can get complicated and social skills come into play. I learned that people involved in the same cause may have different ways of getting goals accomplished. In other words, same cause with a wide range of methods can be found for accomplishing the same goal. This is where defining your place in the scheme of the cause will save a lot of needless drama. This happens all the time in organizations that are trying to make social change. I learned that just because everyone has the same objective doesn’t mean they can work together, or should work together. The sooner a person accepts that fact the real work can begin. “Some people might imagine that there are fewer problems in groups that are concerned with “good causes,” …” http://www.bmartin.cc/pubs/01san.html. For example; You may have dropped your expectations for more of a middle ground approach, because you believe you can accomplish your goals with this approach. Meanwhile, another person may not want to do the same causing conflicts because neither one wants to yield. Then, defining your ideals keeping focused on your goals will help you become a better activist for your cause. Mostly because you’ve learned the art of how to filter out all the interference that can impede progress in a cause. I will end it here for now because how to filter out interference is the subject of part two in the next blog. Letter to the Editor: Ethical hunters need to speak up against this barbaric practice.